Doing a timing job and noticed there's a hole in the timing chain cover. 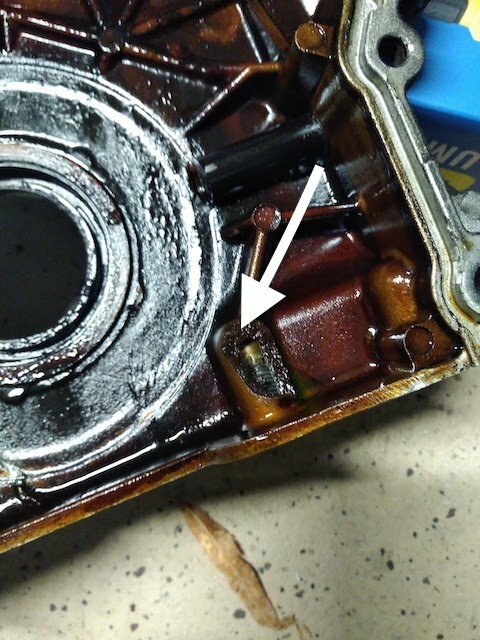 I guess that explained why the oil pan bolt had so much gasket sealant on it when I took it out. Anyhow, does anyone have any idea where to buy a new one? For new OEM, nobody is going to beat Tasca's price, you will also need the gaskets and seal shown in the diagram. The Dorman is cheaper and it appears that it comes with gaskets and seal.. I was planning on getting the Ford timing chain kit from Amazon. That should come with the gasket, yea? Yep, that kit has all the gaskets you need except for the valve covers. It does not come with new VVT solenoids.